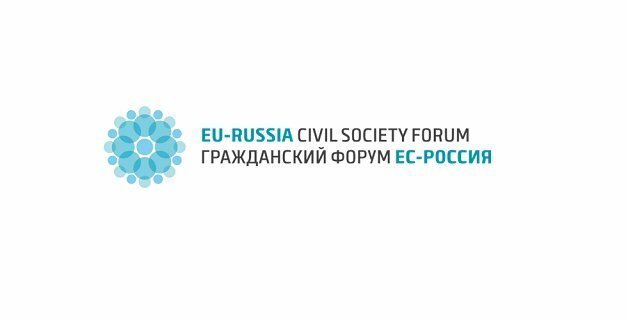 EU-Russia Civil Society Forum e.V. (CSF) (www.eu-russia-csf.org) is looking for a Project Coordinator for its Secretariat (80% employment, 12 months) with obligations in the field of CSF project work. The appointment is from 1 November 2018 till 31 October 2019. The EU-Russia Civil Society Forum, founded in March 2011 and joined by 152 non-governmental organisations in the EU and Russia, is a platform for cooperation of civil society organisations from Russia and the EU with the purpose to develop common positions, increase cooperation between civil society organisations, coordinate their advocacy activities and make their voice stronger in interaction with the general public, governments and other stakeholders. The CSF is currently financed by the EU and other governmental and private donors. The Project Coordinator will be responsible for the implementation of the EU funded projects, coordinating re-granting and capacity building programmes for members organisations and developing / supporting specific project components and events. This position is part-time (32 hours per week, 12 months as of 1 November 2018). The Project Coordinator should have experience in project/ event management within the civil society sector. The Project Coordinator will work within the Operations and Programmes Department at CSF. Coordinating and/ or (co-)producing various events in the EU and Russia within CSF activities (General Assemblies, other events - like conferences, discussions, etc.). Travelling within the framework of CSF activities (especially Partnerships Projects, Study Tours), etc. At least 3 years of proven experience in the field of project/ grants and/or event management (experience in an international NGO, EU-funded projects is an asset). Strong administrative, communication, writing/ analytical skills, problem-solving abilities. Advanced computer skills, including visual editor software, advanced Excel, etc. Ability to prioritise and plan effectively; responsibility and commitment. Proactivity; ability to work both in a team and individually. Excellent English and good Russian; native English or German and command of other European languages are an asset. Valid work permit for Germany is strongly desired for applying. 12 months employment (32 hours per week) at the CSF Secretariat from 1 November 2018. Interesting job in a growing and innovative international project, involving interaction with leading non-governmental actors in the EU, Russia, and beyond. Friendly working atmosphere and competent international staff. Monthly salary of EUR 1,970 (employee’s gross). Please send your application, until 30 September 2018, 5 p.m. CET (letter of motivation, two reference letters and CV) to Kristina Smolijaninovaite, Deputy Director, at: office@eu-russia-csf.org. The separate documents should not exceed 1MB. No inquiries, please. The interviews will be conducted on 8 and 9 October 2018 at the CSF Secretariat or via online talk. The introduction will take place through the first working week. For more information see: www.eu-russia-csf.org .